Today we are proud to announce the launch of SERPed 3.0! This is the result of months of hard work and we’re super excited to introduce you to this new version. When planning this new version, we defined very clear goals: give our interface a new, more modern look and, most importantly, make it more intuitive and faster. User-friendliness has been our main objective while redesigning the interface. 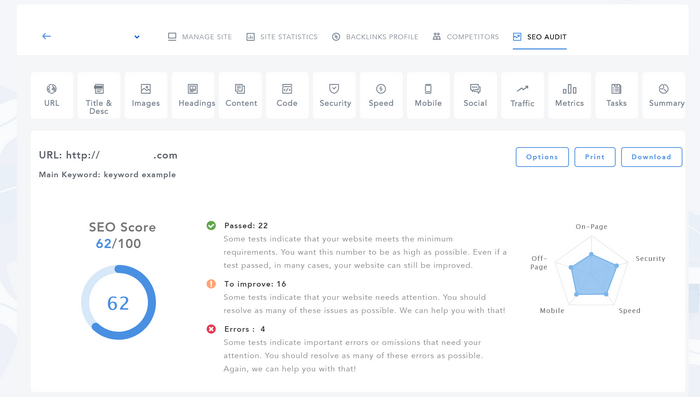 We took this opportunity to re-think some of the tools, to make sure you get the most out of your SERPed subscription and ultimately help you run and scale your SEO business. 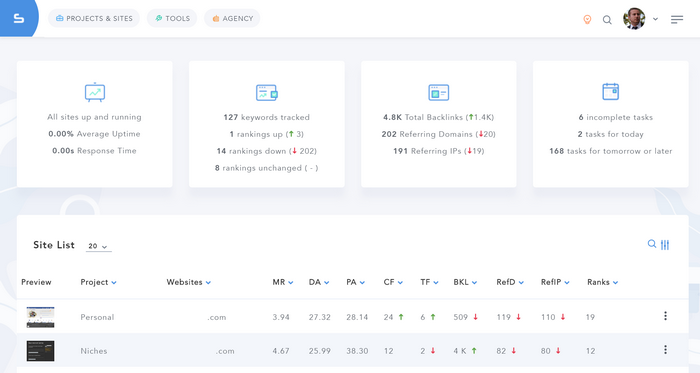 Global Tracking becomes Rank Tracker, and now allows you to track your rankings in the countries, as well as cities of your choice. Local Tracking became Map Tracker, and now allows your to track your local rankings, in Google’s local and map results. Inner Linking Profile became Site Crawler, and is now located under the Site Management section. Pro Monthly Content became Content Services, and is now located under the Other Tools section. Link Indexer Pro became just Link Indexer. Speaking of favorites, you can now create a list of favorite tools and easily access them from the left of this menu. There is also a list of tools you recently used, as well as a search function. If you want to perform a new search, simply click on the + button at the top right, which will open a modal with a search form. 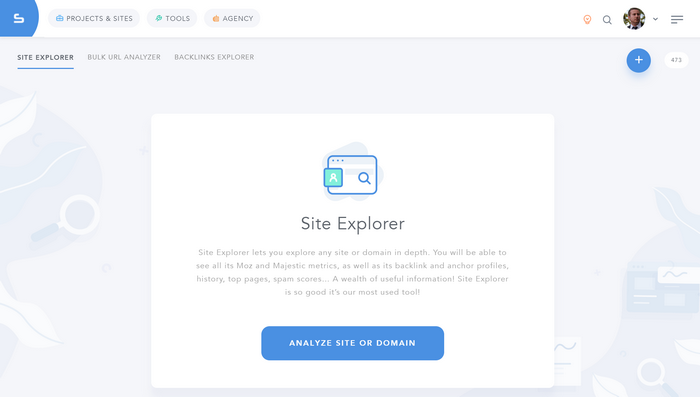 This is how most of our tools are structured now, which means we switched from 3 pages (search form, results page and history) to 1 modal (search form) and only 2 pages (results page and history). Easy, right? You will find this + button in almost every tool, to either perform a new search, add a new site, track a new keyword… depending on the tool you are in. If you have never done a search before, you will simply see a page with some instructions and a button to perform your first search. With SERPed 3.0 you also get more data, including more metrics. 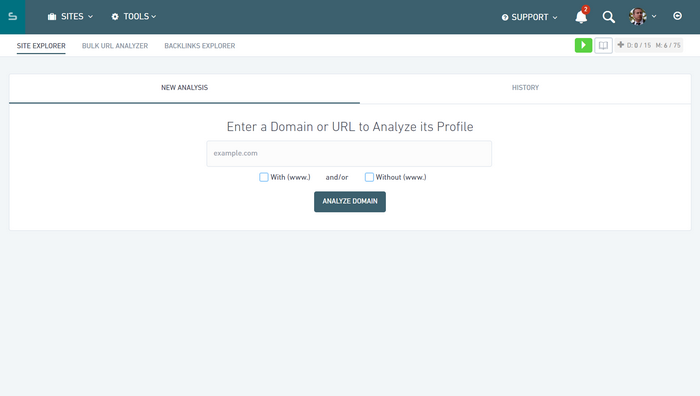 For example, in SERPed 2.0, Backlinks Manager only displayed Moz metrics. 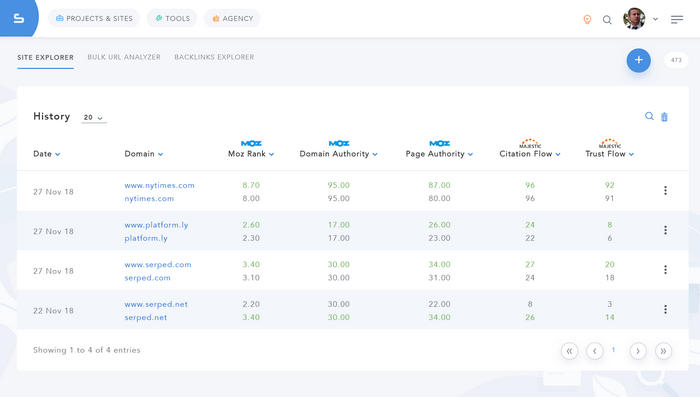 In SERPed 3.0, Backlinks Manager now displays Majestic metrics as well, which means you can now see the Citation Flow and Trust Flow of all the backlinks you monitor. That’s more data, at no extra cost for you. Last but not least… We have improved the overall speed of our suite, as well as its responsiveness. Load times should be faster now, because of major changes in our back-end. We estimate SERPed 3.0 to be 2.5 times faster than SERPed 2.0. We have also done our best to make SERPed 3.0 as responsive as possible, which means you can use it on your smartphone or tablet, just like you would use it on your desktop or laptop computer, which means you can now use SERPed, wherever you are, from (almost) any device! That’s not it! 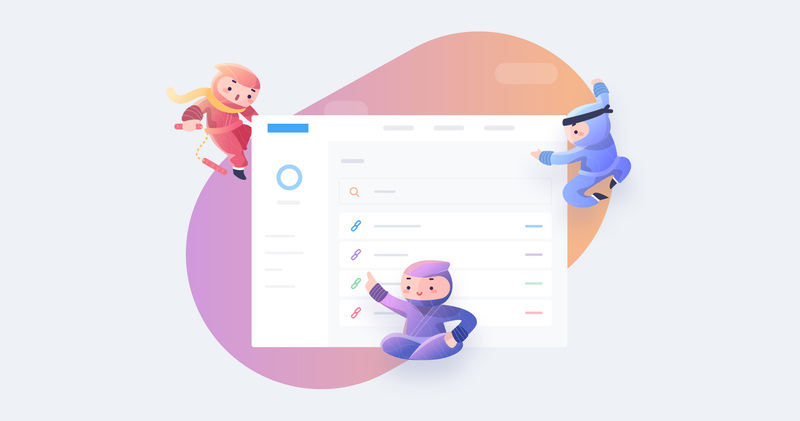 There is more coming soon… Our development team is currently busy working on a new membership add-on called “Agency”, imagined and designed (as the name suggests) for SEO and digital marketing agencies. 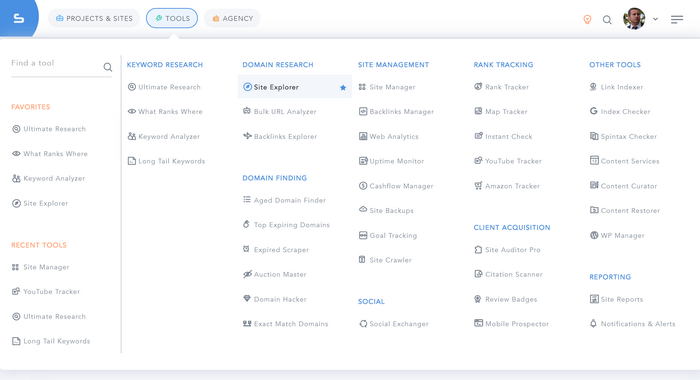 If you have SEO clients, this “Agency” module is for you! With this new module, you will be able to build customizable and white-label dashboards for your clients, which means they will be able to readily see how their project is advancing in real time, at any time. The dashboards can be fully customized with widgets to meet your specific needs. 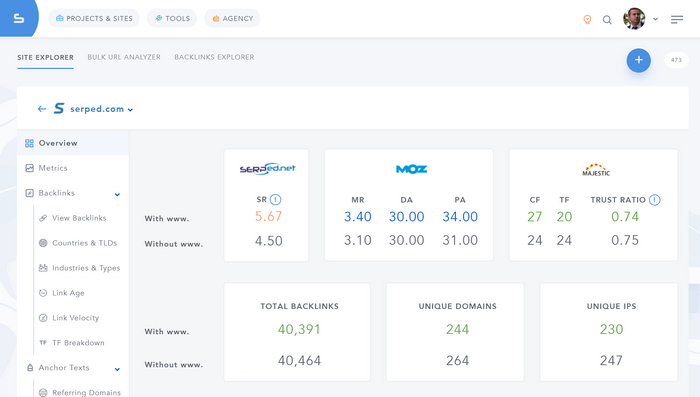 This add-on also comes with several new tools, including a new client acquisition tool, to help you find more SEO clients, as well as a social monitoring tool and more. A must-have for SEO and digital marketing agencies and even freelancers wanting to streamline their workflow and grow their business. Stay tuned! If you have any questions about SERPed 3.0 or our upcoming features, feel free to leave a comment below or contact our friendly support team via the contact form inside the members area. New tutorial videos will be available soon, but if you feel lost don’t hesitate to get in touch with us. Our support team is here to help! One more thing… We’ve run hundreds of tests and checks over the past few months, but we know perfection is hard to achieve so if you notice something strange, please let us know!